Several factors go into keeping a cow at peak production. Management, facility design, cow behavior, health and nutrition are just a few. Hear from two leading industry experts on these topics and where to look on your dairies for lost milk from your cows. Heat stress can cause a farm to lose current milk production. Hot weather and humidity are uncontrollable, but there are strategies to help lessen the effects of heat stress. Click "ATTEND" below to register! 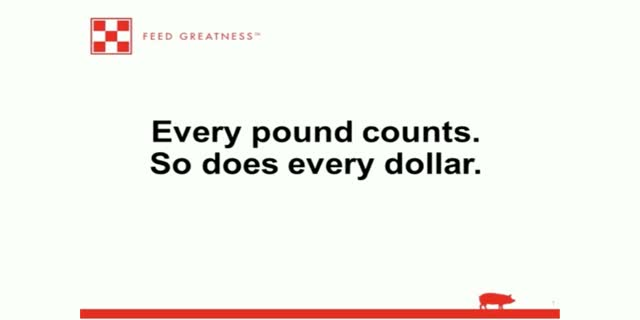 Title: Every pound counts. So does every dollar.